WordPress backup (eXtended RSS) file generated by this application contains information about your Google+ posts, comments, and images. The import was tested with the latest Wordpress release version 4.9.8 and 5.0.1 but should work with all the latest versions. 2. 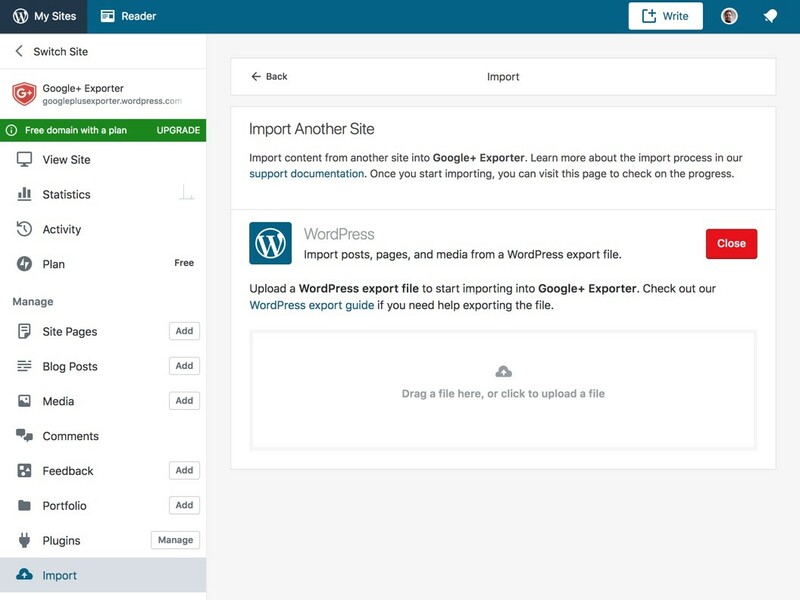 Go to Tools / Import in the WordPress admin panel. 5. Upload this file using the form provided on that page. 6. You will first be asked to map the authors in this export file to users on the site. For each author, you may choose to map to an existing user on the site or to create a new user or you can choose to ignore it. 7. We suggest checking the “Download and import file attachments” checkbox in the “Import Attachments” section so Wordpress downloads all images from Google+ to your site. Just in case Google decides to cancel the image hosting in the future. 8. 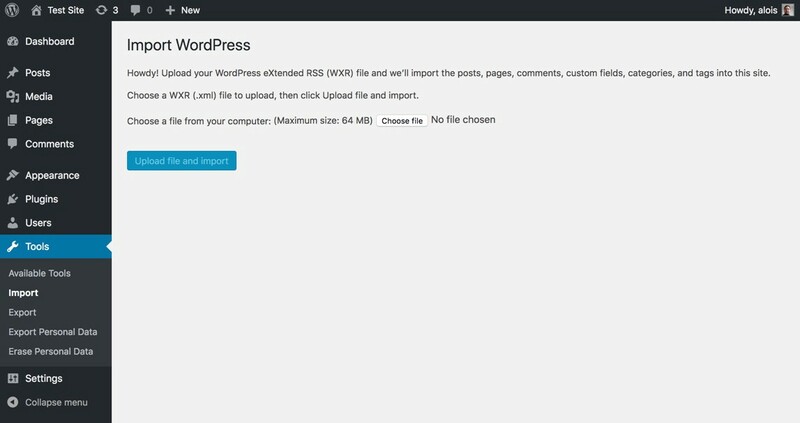 WordPress will then import each post and image.